McCahon Incarnation : Regan Gentry. 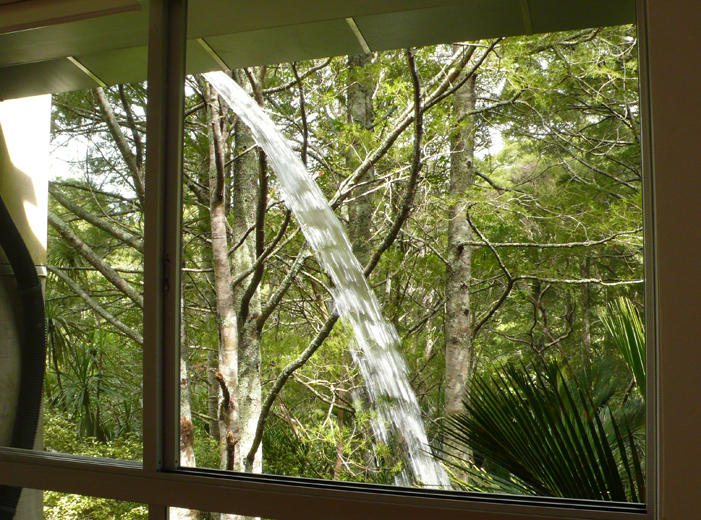 Waterfall from residency studio end window. 20,000L/hr. 10m tall. 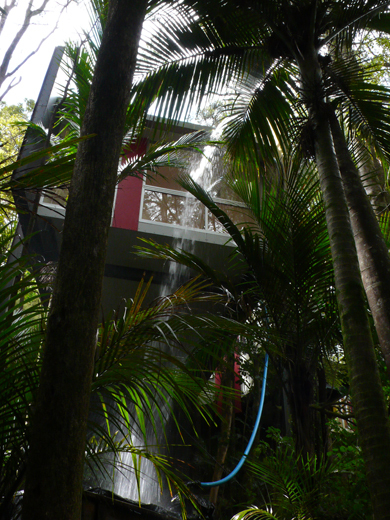 69 Otitori Bay Road, French Bay, Titirangi, Auckland. 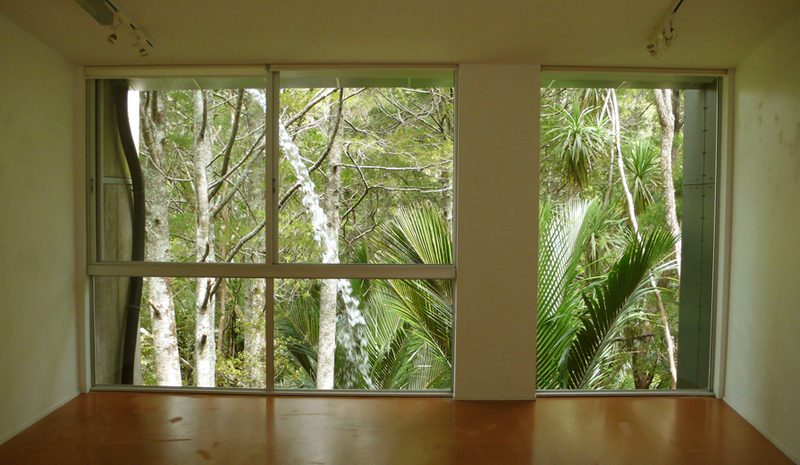 Completed during McCahon Artist Residency Program. Three-day duration. My three months of the residency were spent creating work that employed aspects of the immediate environment as its basis, to refer to, and somewhat replicate, work created by the renowned painter Colin McCahon. 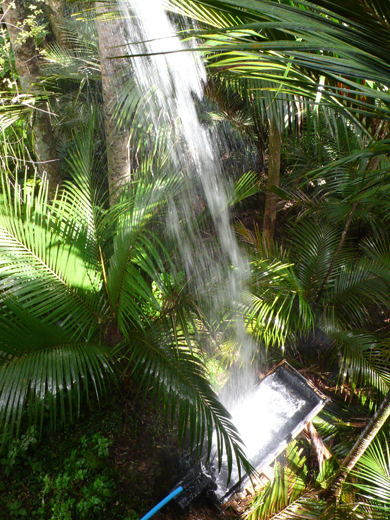 In this case, his waterfall series. 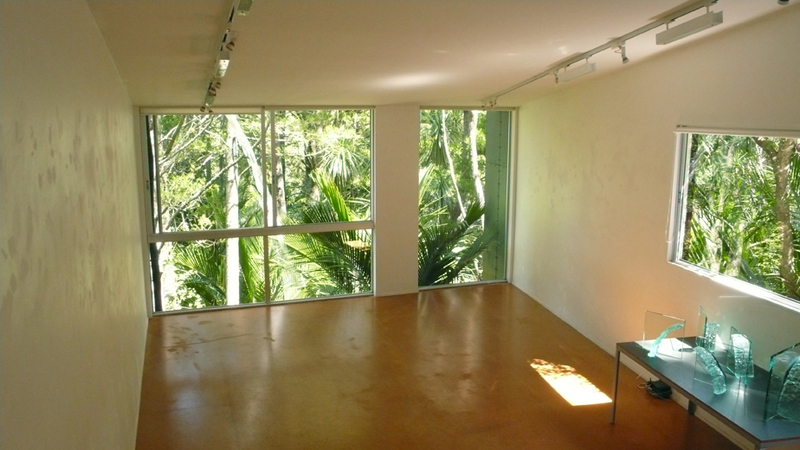 A reincarnation of McCahon Incarnation was staged from the roof of the residency studio. 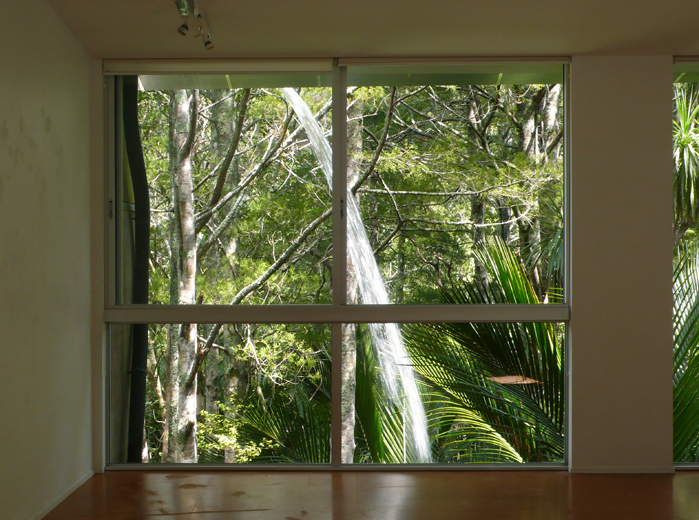 The quartered floor to ceiling studio window was the perfect frame to recreate McCahon’s 1964 Four waterfalls. 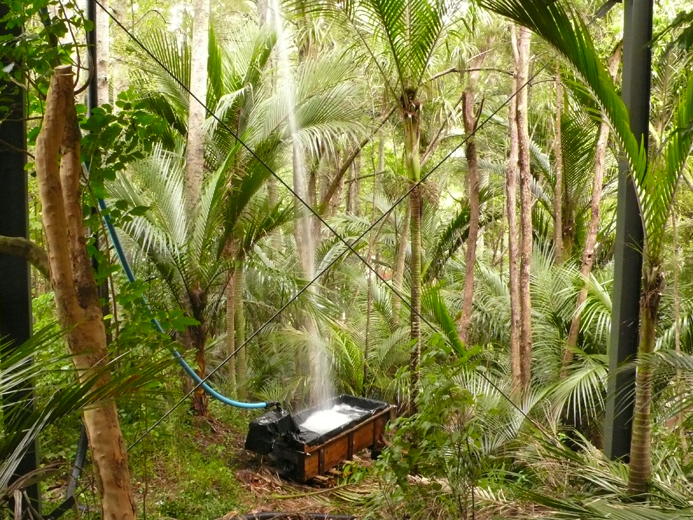 The 330L/min, (5.5L/sec) with a drop of 10m created a lot of sound and could be heard clearly 50m away, i.e. at the letterbox.